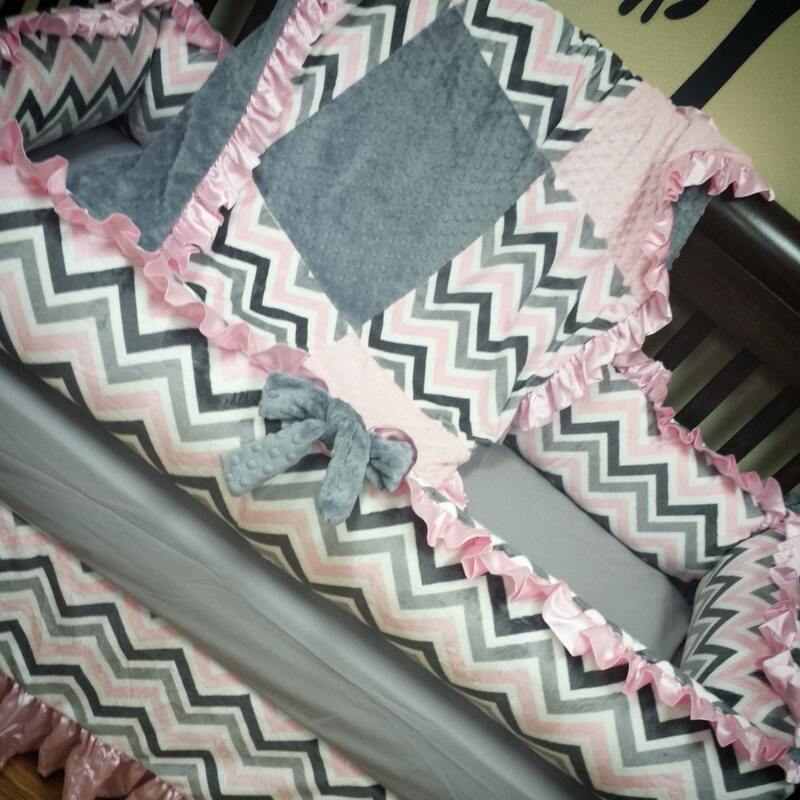 Grey, Pink, Chevron, Crib Set. You design. Several Colors Available. Bumpers - I offer THIN panel bumpers or our deluxe PLUSH bumpers that are 4x thicker than your average bumper at no additional cost to you. You design. Ruffle is available on the top of the bumpers at no additional cost to you.